Anyone with half an interest in pens and paper probably owns at least one Rhodia notepad, however my own usage has always involved the No. 16 size (14.8 x 21cm) and up. However on a recent trip to a local bookstore, my lovely wife recognised the familiar orange Rhodia cover, purchased a ruled No.12 notepad for AUD $4.95, and surprised me with this little pocket gem when she returned home. A win for me, as I had another notepad in my drawer, sans the guilt of buying yet another item of stationery. I was keen to see how a notepad of this sized fitted my usual workflow. The Rhodia No. 12 is a small notepad (8.5 x 12cm or 3.3 x 4.7in) containing 80 sheets of acid free 80gsm paper. 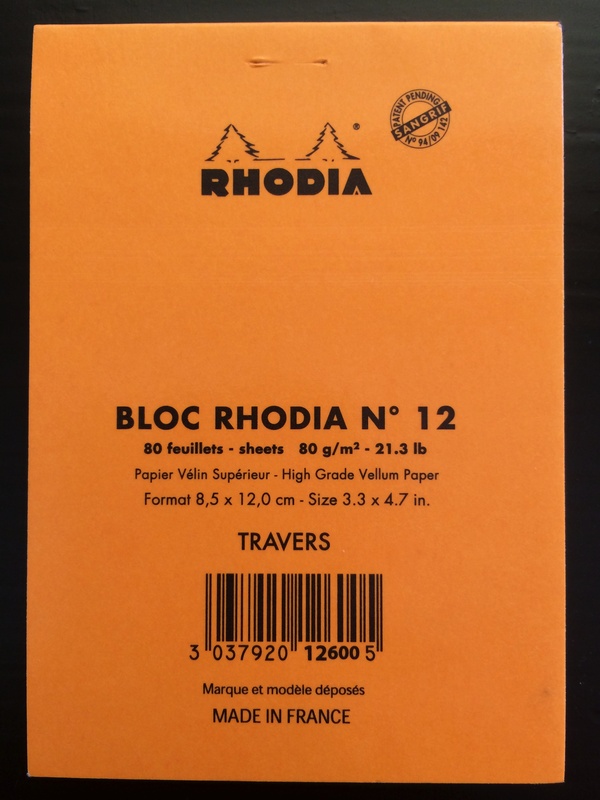 As with other Rhodia products, it is made in France to the same high quality usually associated with products bearing this name. Each sheet has micro-perforations across the top for easy removal, and everything is held together by a single reinforced staple. It is available with a black cover or the classic Rhodia orange, in the usual paper variants of Dot Pad, Graph or Lined paper. As expected, writing is the smooth enjoyable experience reminiscent of the larger Rhodia variants. One of the real advantages of the paper used in Rhodia notepads is that pretty much all pen types and of course pencils, are well received by the paper. 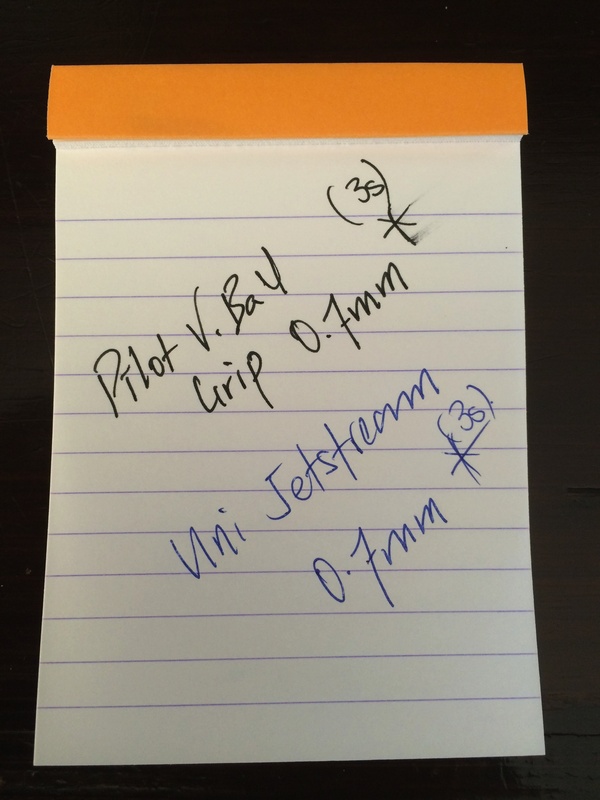 I often use gel ink or fountain pens, and it is a real joy to know that a quick note taken will be captured the way I intended – crisp and clear with no feathering or bleed, and will generally be dry by the time the cover is closed or the page is torn out. At the outside, fountain pen drying time was less than 10 seconds, most often closer to 5, with liquid or gel ink around 3 seconds or less. Although the size of the No. 12 puts it in the same use category (for me) as index cards, where it really shines is in allowing me to bypass such appalling paper as your standard Post It notes. 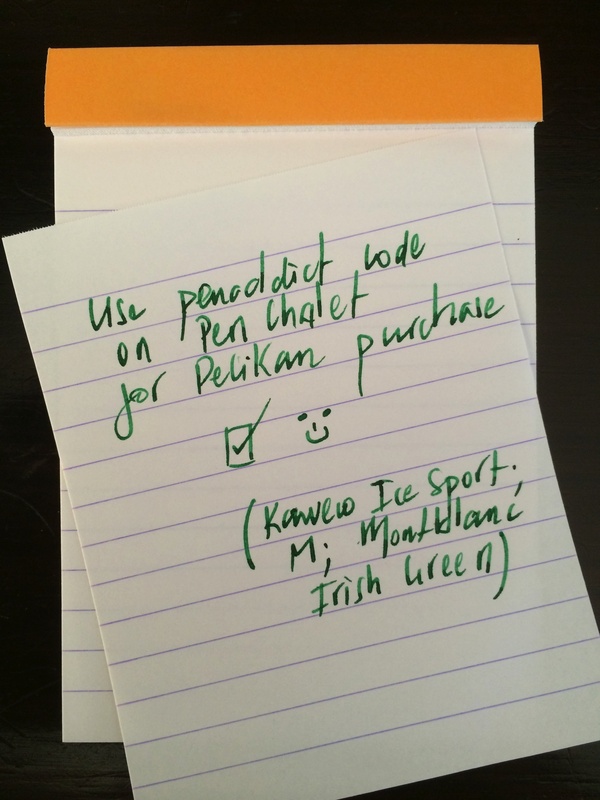 Although my own use case rarely requires me to actually stick or post one of these notes, given their prevalence in the office and ease of scribbling a quick note for someone, they remain in widespread use by all – myself included. Despite the ongoing use of these tacky (yes I went there) pieces of yellow, I have always loathed the paper, the sticky strip on the reverse side, and the fact that when I write on them my pen invariably skips or doesn’t work on the top third where the glue resides underneath. Thank you Rhodia No.12. The perforation across the top works flawlessly when tearing off each note, a Rhodia feature I found to be a godsend when undertaking InCoWriMo earlier in the year, with all correspondence for that challenge being written on No.16 Dot Pad. It is also nice to have both sides of each page lined, as occasionally the size dictates a second page for a single note. I must admit I don’t purchase many notebooks this size, however this may now change as I have become accustomed to having this little Rhodia with me and put into use for a good many tasks. It has clearly become a superior option to the dreaded office Post It note referred to above, providing a much nicer writing experience, and removes the need to fold the notes in half to avoid the sticky portion clinging to everything in its immediate vicinity. Here we are talking short notes for colleagues, phone numbers, ideas “filed” in to my Nock Co. Maryapple for later processing, or quick lists if I am going out to the shops in my lunch break. Speaking of the Maryapple, as this notepad has become more entrenched in my workflow, I have found this case to be a perfect home for the No 12. 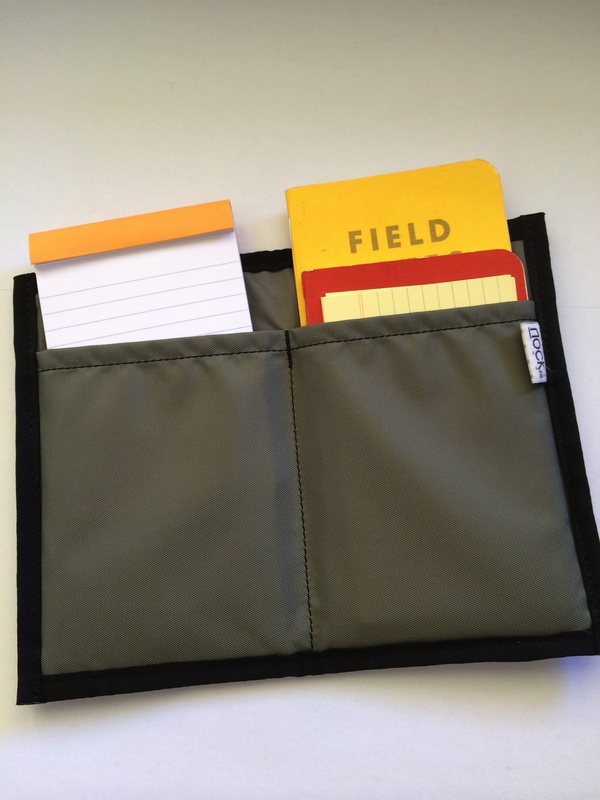 When carrying between the office and home, my standard Maryapple case formation now consists of 2 Field Notes and a few index cards on one side and the Rhodia No. 12 in the other. 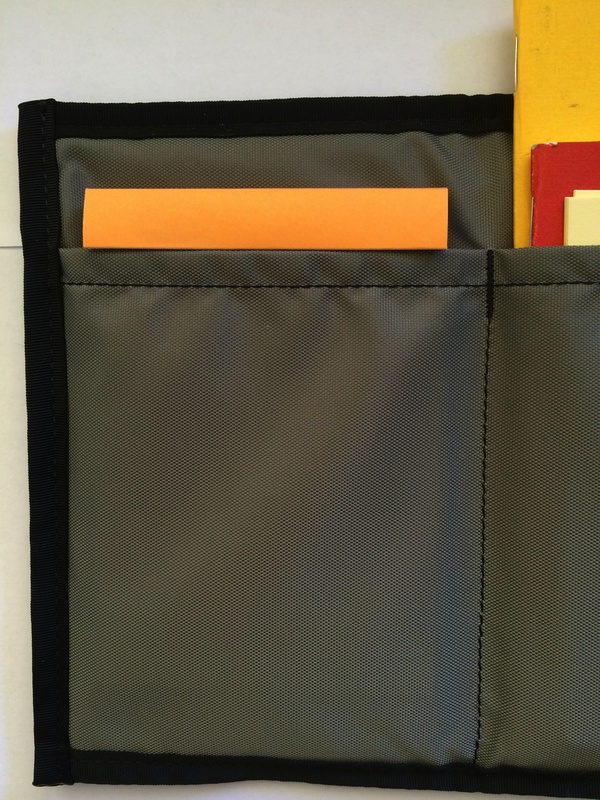 With the cover folded back, the lip across the top fold keeps the notebook perfectly above the top of the case pocket. The more I use the Maryapple, the more uses I find for it, and the more I like it. When sitting on my desk at home, the size of the No. 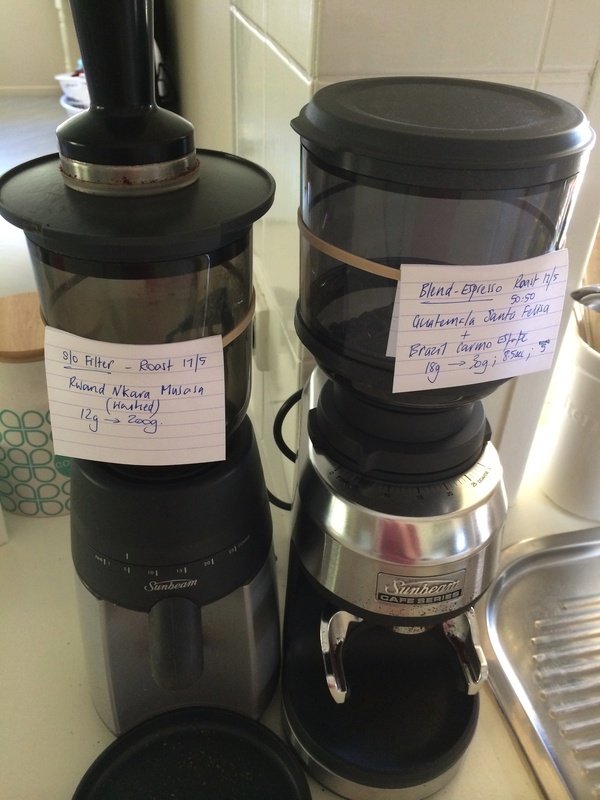 12 notes again suit quick lists if I’m heading out to the shops; as reference markers in books or magazines (with notes); for notes on my coffee grinders containing coffee type and grind information; and even a few quick sketches if the notepad was closest to hand when an idea struck. One aspect of this Rhodia No. 12 Notepad which surprised me a little was seeing just how many more notes I have written since adding it to my workflow. Clearly not having a decent notebook of this size in the past decreased the amount of notes I produced this way – never a good thing! This has certainly changed now, and I can see the No. 12 being put to good use for some time to come. I am still using my Field Notes heavily, which will continue, as the two serve distinctly different purposes – the Field Notes unsuited to producing a quick tear out note of this kind. Things I would change? Probably going for the Dot Grid option, particularly as many notes I write on a notepad of this size are oriented diagonally corner to corner; perhaps a 40 page option would be nice, as writing certainly becomes more comfortable without the large drop from the page to whatever surface it may be resting on, however this is taken care of soon enough by simply writing more notes! By now it should be fairly clear I am rather taken by the No. 12 sized offering from Rhodia. Having used the No. 16 Dot Grid pads extensively for some time now, the question was never going to be about the paper, but the uses I may or may not have for the size. Over the past few weeks any doubts about when or where I may use notes of this size have certainly been put to rest, with the answer being anywhere and everywhere, which I must admit was a pleasant surprise. 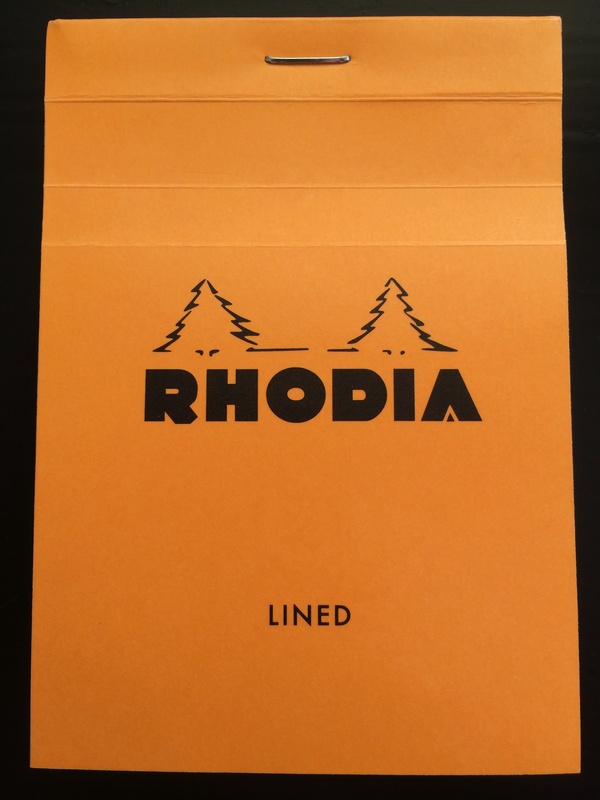 At less than the cost of a cup of good single origin filter coffee, the Rhodia No. 12 is fantastic value for money. If you are a long time Rhodia user of the larger sized notebooks, you may be surprised by how often this smaller size comes in handy. For someone wishing to test out Rhodia paper and see what all the fuss is about without having to purchase a larger size? Perfect. Me? I’m off to pick up a few No. 12 Dot Grids to leave lying around wherever I might need them.